Are you thinking about buying a home? Is your credit score holding you back? Lenders rely on your credit score to determine if you qualify for a mortgage and at what rate you qualify. At Advanced Mortgage & Lending Solutions, we can help you understand the credit score you need to qualify for a mortgage. How much credit you have vs. how much you are using. This is called credit utilization and it reflects the percentage of your available credit you are currently utilizing. The optimal rate is around 35%. This means if your credit card limit is $1000, you should only utilize $350. Using 70% or more of the available credit will cause your credit score to drop rapidly. How long you have held your credit accounts. Utilization of credit is one of the most important parts of your score but creditors also consider how long you have held that credit. Closing unused credit card accounts may damage your credit score. It is a good idea to have several credit accounts, but keep in mind too many or too few can negatively affect your score. 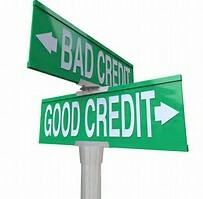 If you don’t have a history of good credit practices such as paying off your credit card balance every month, or paying your electricity bill on time, this can keep your credit score from improving. Credit history is the number one factor that lenders look at when assessing your credit score. Anything higher than 760 is considered a good score but the exact score required to qualify for a mortgage can change based on your situation. The Advanced Mortgage & Lending Solutions team members are certified mortgage experts who can help you determine the credit score you need to be qualify with lenders. Improving your credit score cannot be done overnight. Your score can drop very quickly if you miss a credit card or car payment. Building it back up takes significantly longer. Remember, you can’t pay someone to fix your credit – the only way to repair your credit score is to adopt and maintain good financial habits! Make sure to pay your bills on time. Whether this is your credit card or a car payment, it is a good idea to pay your bills on time or even a few days ahead of the due date. If a bank or lender reports a late payment, it will negatively affect your score and can be difficult to reverse. Don’t apply for too many credit cards or loans within a short period of time. This is a red flag for credit bureaus. Applying for multiple loans in a short period of time (less than a year) is seen as a sign of financial distress. Frequently request a copy of your credit score. If you are trying to reach a goal, like purchasing a home, it is important to know what your credit score is. Companies like Equifax and TransUnion are reputable companies that can provide a credit report online or by mail. Keep your credit balance lower than your available credit – 35% is the optimal ratio. As previously mentioned, your ratio of available credit to utilized credit is an important factor in determining your credit score. If you have multiple credit cards, balance your credit usage over the two cards instead of putting it all on one. This way you can ensure a better credit utilization ratio. Whether you are ready to purchase a home now or you are planning to purchase one in the future, your credit score affects your ability to qualify for a mortgage. The Advanced Mortgage & Lending Solutions team are mortgage experts who offer free advice on how to reach your mortgage goals. If you are planning to purchase a home and need advice on your credit score, send us a quick note or give us a call at (403) 466-6654. Advanced Mortgage & Lending Solutions – Helping You Make Cents of Your Mortgage.